The Shasta Association of REALTORS® (“Association”) is pleased to announce the election of Steve Hixenbaugh as our 2018 President. 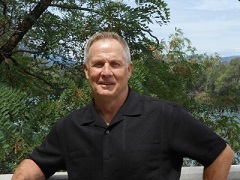 Mr. Hixenbaugh moved to Redding in 1978 and as an avid outdoorsman, enjoys all the amenities the Northstate has to offer. He owned and operated his own business for 19 years before embarking on his career in real estate in 2003, and is associated with Real Living Real Estate Professionals in Redding, California bringing 15 years of Shasta County real estate experience to his presidency. With an understanding of the challenges facing the real estate industry, Mr. Hixenbaugh will focus on our Association’s compliance with the National Association of REALTORS® mandatory Core Standards by encouraging participation and unification at all levels to create an enhanced experience for membership and opportunities to impact our community, as well as the Code of Ethics. As President, Mr. Hixenbaugh will attend three separate annual meetings of the California Association of REALTORS® thereby allowing our Association to discover and join in legislative and legal issues significant to the real estate profession and our community. Additionally, the Association proudly honored REALTOR® member, Glenda Grant, of Coldwell Banker C&C Properties of Redding, as REALTOR® of the Year for 2017. Ms. Grant has been a member since 2012 and currently serves as an Association Director, as well as Chairperson of the Young Professionals Network (“YPN”) which is credited with raising thousands of dollars annually for the benefit of our community’s youth. As an advocate for promoting new agents within the industry and leading others to get involved and give back to the community, she is a voice for the Association, membership, and her peers.